Total War: Arena Ride into immense 10 v. 10 player battles in Total War: Arena and experience spectacular historical land battles like you've never seen before! Backgammon Go Backgammon Go is a fantastic board game that combines luck and skill! Be the first player to bear off your 15 checkers in this cross-platform social game! MovieStarPlanet Become a movie star and design your own online persona in MovieStarPlanet! Make movies, attend parties, and hang out with your friends! Mahjong Connect Mahjong has been around for ages, so how about playing this great classic board game online? Doodle God Create each element and watch your world come alive as each element animates on your planet! Heartwild Solitaire Dreams Heartwild Solitaire Dreams is a mahjong-style card game with 90 level packs, 540 tables, and stunning HD graphics! PokerWorld Play PokerWorld for free now and travel the world challenging pro players and proving that you are the greatest poker star! 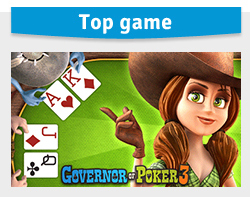 Poker Live Pro Play the Texas Hold'em game Poker Live Pro and test your skills against other live players from all over the world! Gamedesire Bingo Play Gamedesire Bingo with other players and chat away while you enjoy a great game of bingo for free! VIP Klaverjas Play the great multiplayer card game VipKlaverjas with Amsterdam rules and Rotterdam rules. Outscore your opponents! Golden Acres Golden Acres is a fun farming sim in which you can build and customise your own farm, and share and compete with your friends!